Buffalo Wire’s fine mesh screens suit a wide variety of industrial applications including, but not limited to: frac sand, agriculture, food processing and milling, fertilizer production, minerals and chemicals. Our high quality replacement screens are manufactured to exact OEM specifications to ensure the best fit, form and function. Our experience working with different materials and brands of machines on the market allows us to provide custom solutions to your worst screening issues. 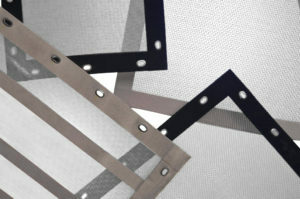 Our taped edge screens are compatible with all major OEM screeners, including Rotex and Rotex Mineral Separators. We guarantee fit, form and function. 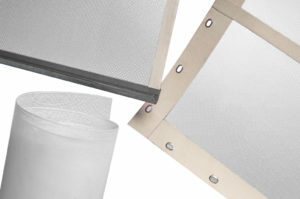 Buffalo Wire Works manufactures screens that are compatible with all major OEM Screeners. We can produce side tensioned screens for machines such as Tyler Hummer’s, J&H Equipment, Derrick Corp., Sweco Big Max and GyroMax and Long Horns. We also produce end tensioned screens with side seals commonly used in Mogensen, Midwestern and Astec Pep screens. All screens have tight tolerances to produce proper tension when installed which results in higher efficiency screening and longer life. 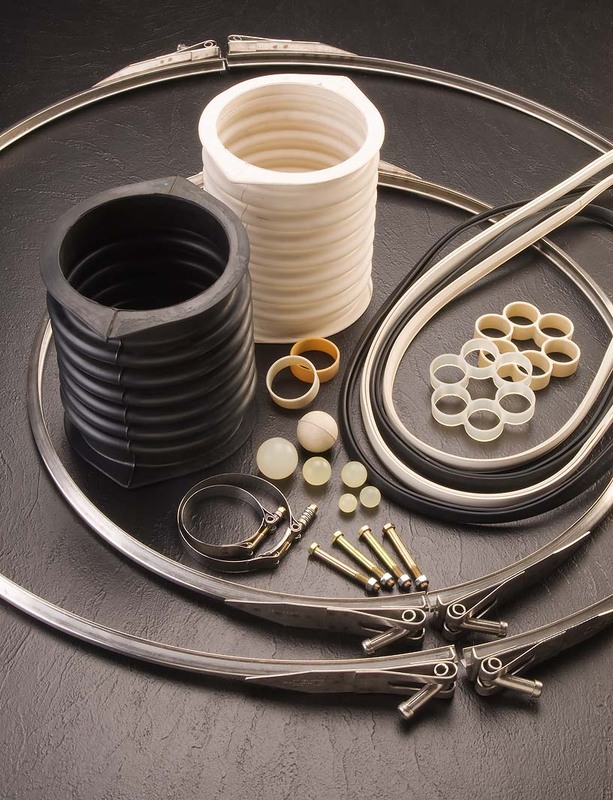 By working with a variety of machines and industries, Buffalo Wire can solve and provide value added solutions to your screening issues. Edging Materials – Buffalo Wire can provide screens with everything from fabric tapes, melted urethane or rubber side seals on the open ends. 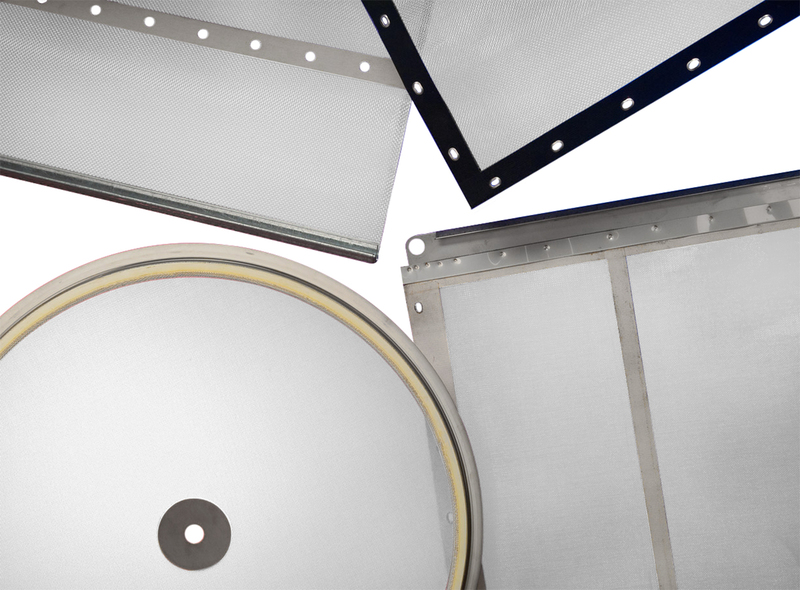 Buffalo Wire Works manufactures high quality circular replacement screens to fit all major OEM Screeners such as Sweco, Midwestern, Kason and others. All pre-tensioned screens are tensioned to the optimum level and then epoxied to the frame. 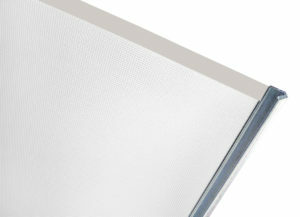 Our manufacturing process allows screens to be manufactured to consistent and tight tolerances. 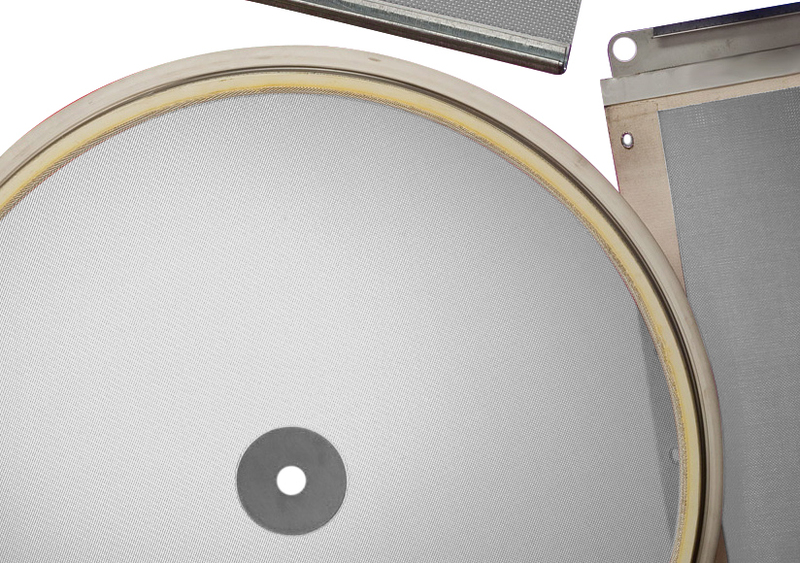 We can manufacture new round screens from 18-60” in diameter. Custom geometric shapes and frames can be made to fit your existing machines or needs. Buffalo Wire has used pre-tensioned screens in many chute and load-out applications. We are a major supplier of synthetic fabrics to the food, filtration, sand, plastics, agricultural, chemical, mineral, recycling and pharmaceutical industries. We stock a variety of micron openings and thread diameters in both nylon and polyester materials. Our synthetic screens are fabricated to fit all vibratory machines and are available in taped edges, hooked panels, and pre-tensioned screens. Our comprehensive line of accessories are priced right to help customers maintain their budget and keep operations running smoothly. With a full range of screen products, we are able to service many different industries for a variety of applications. Our experienced staff is available to discuss your needs and to help determine which product is best for your particular application. Request a quote or call us at (800) 828.7028.